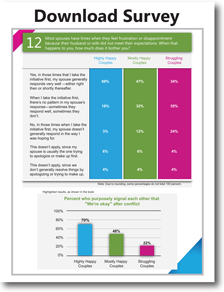 View all the results of the Surprising Secrets of Highly Happy Marriages survey. 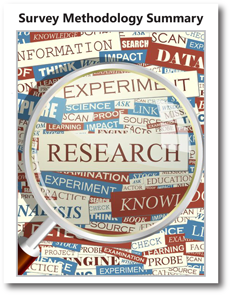 This summary of the survey methodology explains how the survey was designed and conducted and who was surveyed. 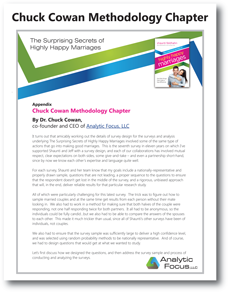 This is an in-depth explanation of the survey methodology which is referenced in the ‘Finding Patterns, Conducting the Surveys’ section of Chapter 1. This survey methodology is a more in-depth technical explanation of the survey than the ‘Survey Methodology Summary’.